Nawaz Sharif, Prime Minister of Pakistan: Portraits: New Orleans based Photojournalist covering the Deep South and beyond. ISLAMABAD, PAKISTAN. 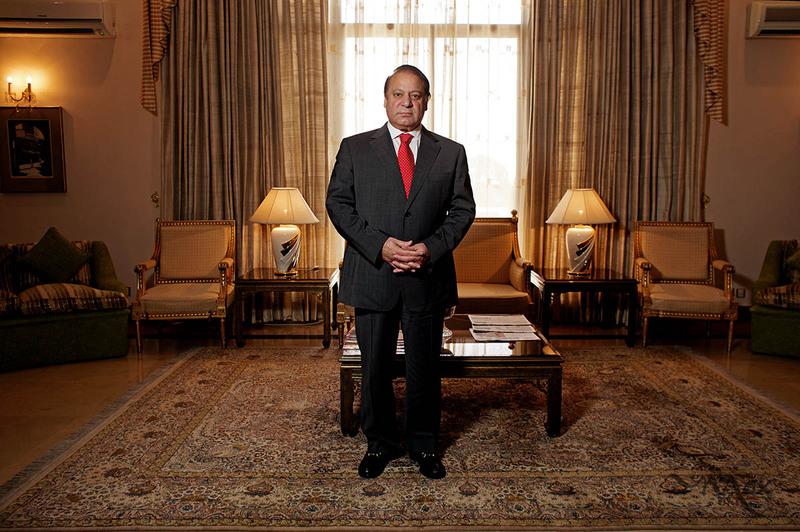 Nawaz Sharif, Prime Minister of the Islamic Republic of Pakistan, stands for a photo at the Prime Minister’s residence in Islamabad, Pakistan on Thursday August 15, 2013. Prime Minister Sharif is starting his third term as the elected Prime Minister of Pakistan. His last term as Prime Minister came to an abrupt end when General Pervez Musharraf led a military coup against him in 1999.